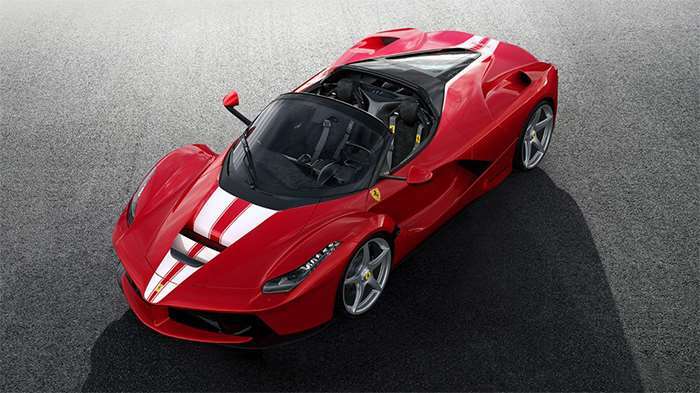 Late last month I mentioned that Ferrari had decided to build another LaFerrari Aperta to auction off for charity. The time has come for that auction to happen with it taking place September 9 during the “Leggenda e Passione” auction at the Ferrari Fiorano test track. The auction will be conducted by RM Sotheby’s. Ferrari says that this will be the most important single marque car auction in history. 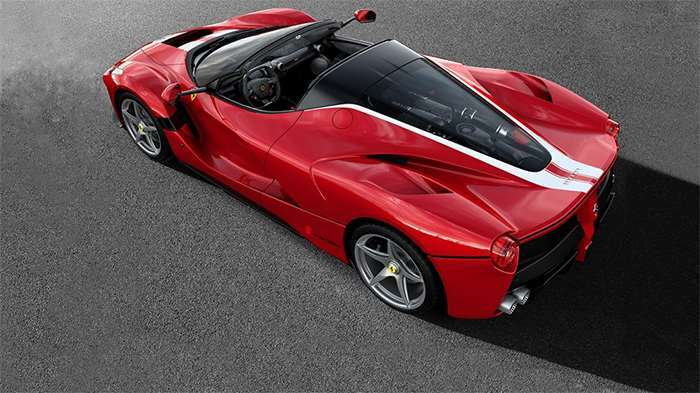 The LaFerrari Aperta being auctioned off is a limited-edition special series model that was built to celebrate the 70th anniversary of the brand. The proceeds from the auction will all go to the charity Save the Children. The Aperta being sold in the auction wears a unique livery with metallic Rosso Fuoco red for the main body and Bianco Italia double racing stripes on the hood and rear of the car. Inside is a black interior in alcantara with red leather accents on sats and red stitching along with shiny black carbon fiber trim. There is no word on how much the car is expected to go for at auction.